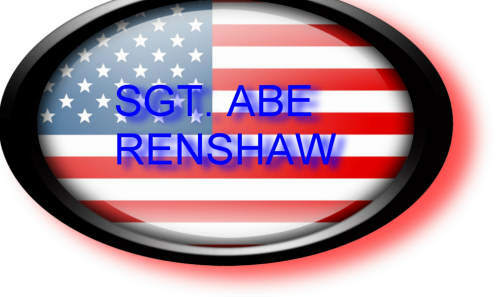 RENSHAW,Abraham P., Jr. Age 69, a retired Marine Corps First Sergeant who was a decorated veteran of the Vietnam War, died December 5th at his home in Monroeville, NJ. He began his Marine Corps career when he enlisted on January 7th 1958. He went on to serve with the elite 2nd Marine Division for 28 years. He followed up his military career working 17 years as a correction officer for Riverfront State Prison. Born and raised in South Jersey, he was the son of the late Abraham Sr. & Henrietta Renshaw. He was the brother of the late Louis Renshaw, Henrietta (Ruggiero) Renshaw, and Helen Lafferty. He is survived by his wife of 41 years, Marie, his daughter Elizabeth & son Robert. He is also survived by his granddaughter Zaira, great granddaughter Faye, and his brother Charles Renshaw. Abraham was a loving and supportive husband and father; he loved spending time with his family, hunting, and fishing. All Arrangements are private. with Cancer at this point and didn't want to see or hear from anyone. fun time at the Reunions with his stories and getting to know him again. I was saddened to hear of Sgt. Renshaw’s passing. He was my 2nd. platoon Sgt. I remember him as a no-nonsense, get the job done Sgt. He would never ask you to do something that he would not do himself. He lead by example and was fearless in battle. He brought out the best of me as a Marine rifleman. He will not be forgotten! Per Captain Dalton, Sgt. 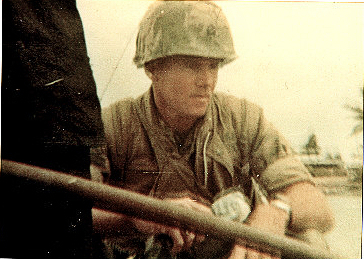 Renshaw took me fishing with hand grenades for fish for the villagers and this picture attached is him in the boat (See above photo with helmet on). P.S.- as a result, I have been banned from fishing in Valley Stream, NY, where I live.